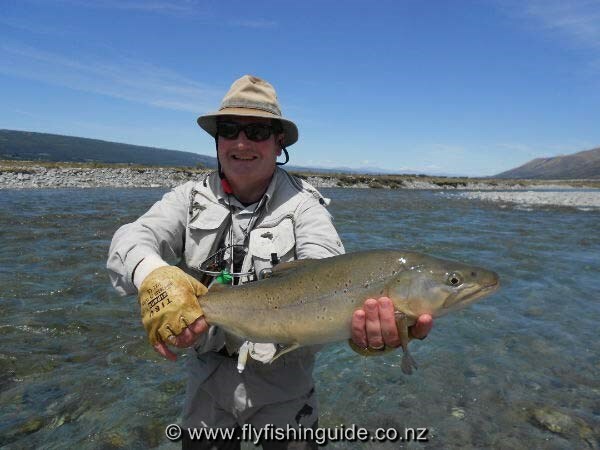 Returning to Twizel after a successful fly fishing trip here in January 2012, Jacques was soon "back in the groove"! European anglers often lose fish at the start of their NZ fishing experience due to "vicious" striking because they are used to smaller, faster taking trout. This is not an issue for Jacques being on his fifth pilgrimage to the sight fishing mecca of the world! Together with wife Murielle and son Arthur, Jaques made our accommodation unit "home" for nearly a month. 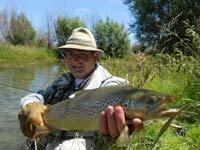 Being able to communicate in French makes life easy on the water. 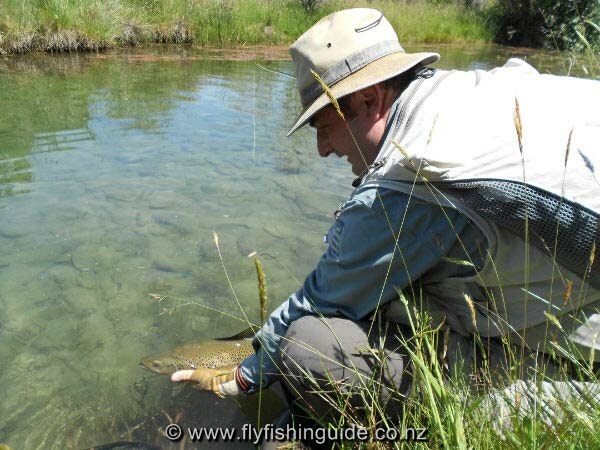 Fly fishing can be very technical and it is important that the angler knows exactly the tactic to be employed before that critical first cast. Guiding the same person(s) over several days is great for both parties. 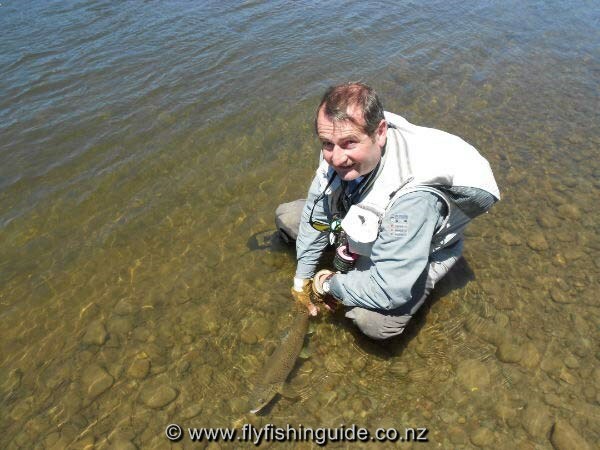 A real affinity and friendship develops and although I'm not fishing, I get just as big a buzz as my client when a fish is on! 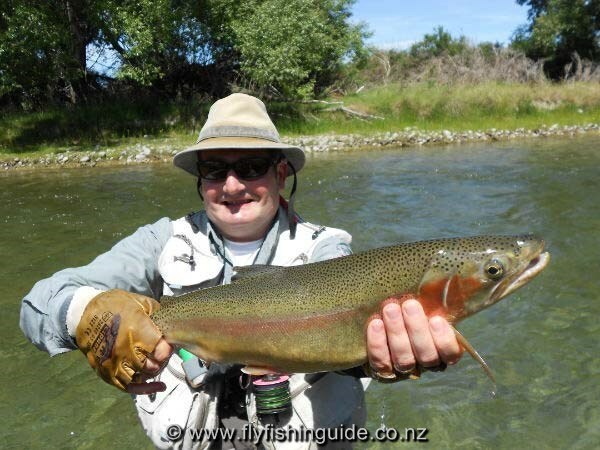 Jacques is seen here with a fine Mackenzie Country rainbow trout. 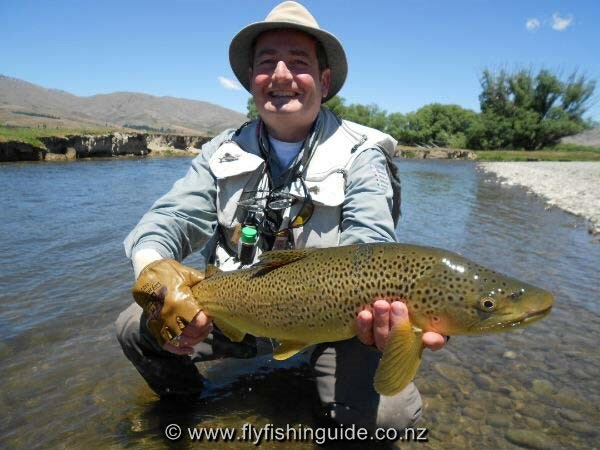 Jacques with a quality high country brown trout. 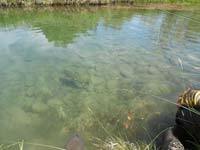 No harm done! 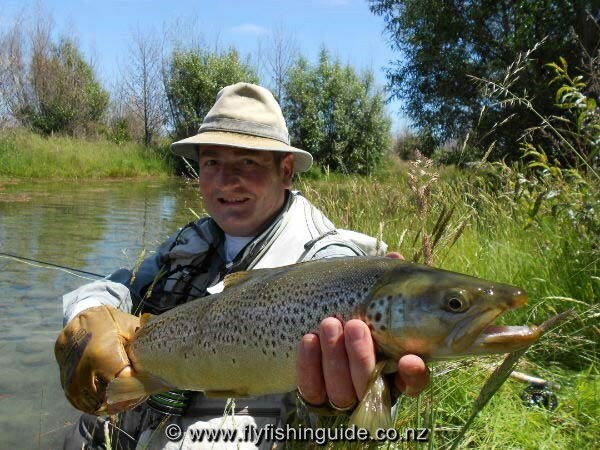 Brown trout release Happiness is .......! !